This so looks like a photo I have of my Uncle astride his motorcycle, from back in the day. What a coincidence! This photo is of my uncle. 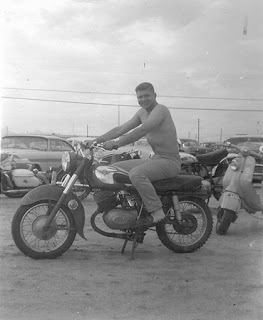 I found out yesterday it was taken at an Air Force base in Arizona in 1963. "Nilgiri Hills: Christian Memorials 1822–2006"